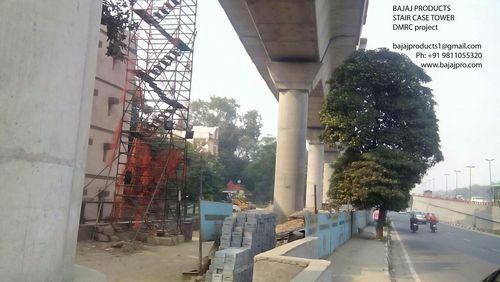 We manufacture various Formwork & staging systems for construction of infrastructure projects like Metro Rail. These include Circular Pier, Rectangular Columns, Pier Caps, Superstructures Like Box Girders, I Girders, Parapete Shuttering, Barricading, Railings, Station Formwork & Scaffold Arrangements, Crash Barriers, Pile Cap, Track Foundations, Precast Segments, Staircase Towers etc. We manufacture wide range of Stair Case Tower in various scaffolding arrangements like cup lock, H-frame etc. We provide various height, widths, lengths and other patterns as per the specification provided by our clients. We have supplied tower up to 20 M height on demand of our clients. These are superior in quality, consistent, durable and economical in price. 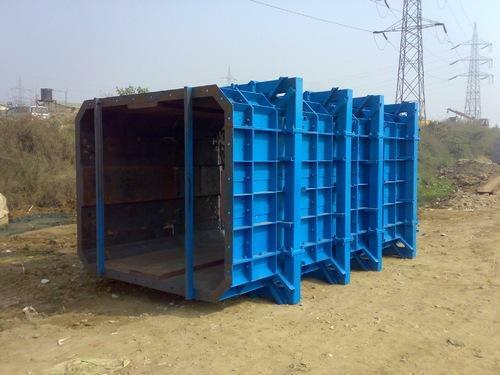 We manufacture various types of Pier Shuttering. We have supplied 1.9M, 2.1M, 2.3M dia Pier shutters with staging , supporting arrangements for the same. These piers have high quality workmanship & are designed & fabricated to withstand pouring of large heights like 6m, 9M, 12M etc. Looking for “Metro Rail Infrastructure Formwork Products”?